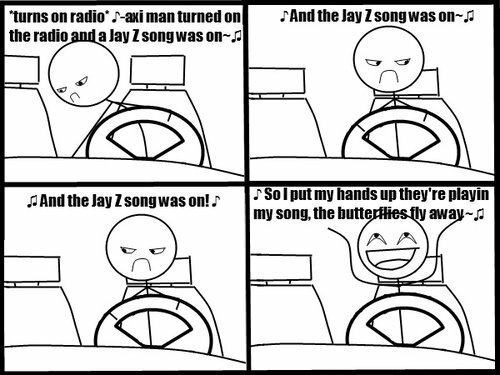 A visual representation of me in the car. When this song is on. Which is too often. Thanks too my sister. Not so much anymore, I guess. But this cartoon is a 100% correct depiction of my reaction when it is on. I love it to death.